The scope of design projects in store for MDG this year will require flexibility and versatility. My team has such a refreshing ‘get-to-work’ attitude. New environments mean new inspiration; our unwavering commitment to the end result is unchanging. Moore Design Group is forging into 2014 with the same insatiable commitment to deliver their celebrated, quality designs that made them a major player with prominent developers in 2013. Last year the award-winning interior design firm, led by Principle Stephanie Moore-Hager, designed the interior architectural details for two multifamily properties that the Dallas Business Journal listed as projects that have dramatically changed the landscape of North Texas. The Standard at Cityline in Richardson, developed by Zale-Corson Group, is part of one of the biggest mixed-use transit-oriented developments in North Texas and is the quintessence of sustainable, urban living. Alamo-Manhattan’s multifamily property MODA Dallas in situated in Victory Park, a previously sports-anchored development that is evolving as a mixed-use urban development that appeals to a variety of tenants. In 2014, MDG has plans to work in the midst of five of the top 10 most active construction markets in the nation. According to Multi Family Executive, Dallas, Austin, Houston, Denver and Raleigh/Durham will see some of the highest inventory growth rates and installation of new units in 2014, all cities in which MDG is currently developing designs for emerging multifamily properties. On the boards for DFW is MDG’s fifth project with Encore Enterprises, Inc., Encore 6162 Urban Residence located in the heart of the city’s thriving medical district and due to install May 1. 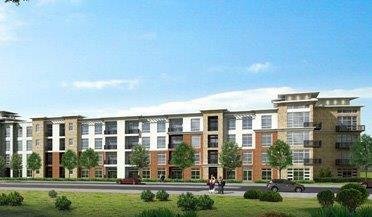 Mustang Station in Farmers Branch, a Western Securities, USA development also will be installed in the third quarter of 2014. The two properties, both designed specifically to encourage interaction and a sense of community, take modern living to the next level. 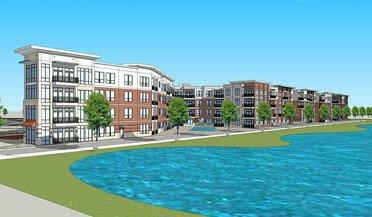 MDG has also reunited with urban-infill developer Lang Partners, LLC. for their fourth project together. The team has broken ground on a 6-acre site just across Maple Avenue from the DART Rail stop for The Maple District Lofts. Parkland Hospital, UT Southwestern and the newly expanded Love Field airport are expected to be big draws for apartment renters in the area. MDG is also working with Hillwood Development, a Ross Perot, Jr., Company, on the development of Fort Worth’s SageStone Village, a luxury apartment community on 13 acres of land within the Alliance Town Center master-planned development. Previous projects for the designer and developer duo include Monterra Village, noted as the first 100-percent, smoke-free luxury apartment home community in North Texas. Just north of Austin in the growing city of Georgetown, MDG is partnering with Marc Footlik with Western Securities, USA and Tony Austin, TAC, Inc. on The Summit at Rivery Park, the city’s first high-end, mixed-use development. The new master-planned community is set on 32 acres overlooking the North San Gabriel River and is currently in development stages. MDG also continues their successful collaboration with prominent Houston-based developer Martin Fein Interests Ltd. with plans to install the Houston area properties Belvedere at Spring Woods this April and The Grand at LaCenterra in Cinco Ranch in the spring of 2015. In an impressive multifamily venture of unprecedented scope, MDG and MFI will also complete three properties at Willowick Park in the fourth quarter of 2014 and first quarter of 2015. Continuing to extend their influence to other states, MDG worked with MFI on their third project in the Denver area. The Vue at RidgeGate in Lone Tree offers luxury amenities and is part of the master-planned community on a future Light Rail site. The team is also in the beginning stages of developing a fourth project in Colorado. In the thriving construction metro of Raleigh, NC, MFI will soon break ground on a 12-acre site in Crabtree Valley that will be developed into high-end apartments at The Crabtree Place. MDG will provide the interior architectural design for the community amenity areas. With inspiration and creativity as far-reaching as the scope of their designs, MDG continues to make an impression with the nation’s leading developers and redefine the urban landscape of metro areas across the country.